As well as being the Sydney roofers of choice for over 25 years, the team at Tandem Trades are skilled carpenters and offer their quality carpentry services for all residential, commercial and industrial projects. Regardless of the size of your carpentry project, you can be sure that you will receive the same attentive service, quality workmanship and reasonable pricing that Tandem Trades have built their reputation on for over 25 years. We offer expert pergolas and carports building services throughout the greater Sydney area including Sutherland Shire, St George, Inner West and the Eastern Suburbs Sydney for all residential, commercial and industrial customers. All of our work carries a full guarantee on parts and workmanship. Please contact Professional pergolas and carports builders and carpenters Sydney today for an obligation free evaluation and quote for your next project. 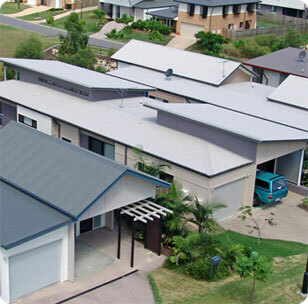 Call Mick - Licensed and fully insured metal roofing expert contractors in Sydney on 0439 417 147 or send us an online enquiry. Webdesign and SEO by heffernanwebdesigns.com.au :: Copyrights © 2010 Tandem Trades. All Rights Reserved.